We pride ourselves in supplying frames and lenses at very competitive prices compared to the high street, saving you up to 60%. We have an extensive range of frames available to suit every taste. Whether you prefer chic, modern and stylish or a more traditional and formal style, we have the frame for you. 3 Pairs of Glasses for £99 – Including Single Vision Lenses! Select any 3 frames from our exclusive range of over 100 different styles and whether you need them for distance, reading, computer work or a combination of any of these we will happily accommodate your needs. Essilor Physio Varifocal Lenses – Prices starting from just £195(RRP £280)! The perfect opportunity to own one of the finest varifocal lenses on the market. Lens coatings include the famous Crizal Sapphire UV coating. The upgrade to the Forte coating and the only lens coating to come with a 2 year guarantee and 100% UV protection for your eyes. All frames come with a standard plastic prescription lens included in the price. But if you are going to wear some of the most desirable branded frames on the market, why not treat your eyes to the same level of quality. Upgrade to premium lens materials and coatings for superb clarity of vision and comfort. Life in HD! We know that our prices are already the lowest around, however if you find that any of our local, independent, competitors are charging less on like for like frames or lenses then we promise to beat it. Check out our Facebook page for the latest offers. 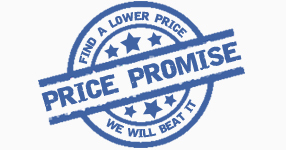 If you like our page we will also give you a 10% discount on our already great prices. Both you and your friend will receive a 10% discount code which can be used on your next purchase!